2.2.1 The basis for inclusion: who was included in what forms of education? 3.8 Issues in documentary research: could documentary research be classed as a research method? 5.1.1 Inclusion and learning: inclusion into what? 5.2 What assumptions, values and awareness underpin the notions of inclusion in the cross-cultural contexts of further education colleges? 5.2.2 Inclusion and society: progress and achievement: what’s in it for us? 6.3 What assumptions, values and awareness underpin the notions of inclusion in different cultural contexts? 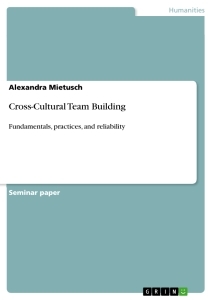 6.4 What factors are important in the explanation of the meanings of inclusion and the enrichment of learning experience in different cultural contexts? 6.5 What kinds of inclusion are indicated by the meanings of inclusion in different cultural contexts? 7.1.2 Inclusion and learning; inclusion into what? 9.4.1 Inclusion and society: cultural integration, multiculturalism or disengagement? 9.4.3 Inclusion and society: race or racism? 9.7 Implications for further research: a paradigm shift? First, this chapter will describe the research focus; this will involve describing the research problem together with the flaws in the current approaches to the problem. Second, the chapter will describe the aims of the research. Third, the chapter will describe the origins and the evolution of the research and its rationale. 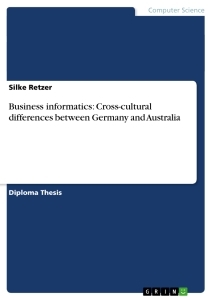 And fourth the chapter will describe the contents of the thesis. For the purpose of locating the focus of the research together with its boundaries I have made the following definitions: first, I have defined national education, further education or otherwise, as a system whose goals are to persuade people to modify their perceptions of the world and adopt new ways of engaging with the world around them. Second, I have defined further education as a post-compulsory education and as a subsystem of the national education system. Third, I have defined national education policy as a sequence of statements, guidelines, directives and commands issued by the State in order to control, enforce, secure and guide the entire activities leading to the implementation and achievement of the goals of the national education system. And fourth, I have defined the policy of inclusion in post-compulsory education as a ‘sub-policy’ of national education policy. Thus my research is focused as follows: first, the focus of the research is on inclusion in post-compulsory education. This means that the educational policy issue that is the focus of my research is inclusion in further education colleges. Second, the focus on inclusion in post-compulsory education means that my research is concerned with educational policy. Third, the focus is on post-compulsory education. This means that the research is focused on education and on Adult Learners and Teachers of Adult Learners. The research problem is what does inclusion mean to adult learners and to teachers of adult learners? Does inclusion have a single or many meanings? If inclusion has a single meaning, who defines what that single meaning is or should be? If inclusion has many meanings, who defines what those many meanings are and how many different meanings are there? a) The Neo - Marxist writers on ‘Reproduction’. According to these writers inclusive policy is a covert attempt by the State to use education to ‘reproduce’ certain characteristics for the labour market. Some of the proponents of the reproductive thesis are Althusser (1971: 5 -6); Bowles (1971: 27 -31) and the Centre for Contemporary Cultural Studies (CCCS) (1981: 51 – 54). b) The Humanist equal opportunities theorists. To these writers inclusion means the empowerment of marginalised groups through open access to education. The ultimate aim is to improve the social, cultural and economic mobility of these groups. Among the writers on equal opportunities are Butler (1973: 3); O’Shea and Corrigan (1979: 229 - 235), and Rex and Tomlinson (1979: 189). c) The eugenic theorists. According to the eugenic theorists the meaning of inclusion is that certain races are less genetically endowed; are intellectually inferior and hence are only fit for inclusion in education which requires ‘simpler abilities of memory and association’. Eugenic theorists included Burt (1969: 17 – 20); Jensen (1969) cited in Tucker (1994: 198 and 204), and Eysenck (1969: 34 – 38). d) The market mechanism theorists. According to market mechanism theorists the meaning of inclusion in post-compulsory education is part of national economic development and the supply and demand for skilled labour. Proponents of the skills and ‘education market’ theory include Cassels (1989) cited in Tuckett (1995: 51); Clark (1996: 59), and Jensen and Van der Veen (1992: 124). Overall these writers have a common flaw because they invite us to accept an order of reality in which inclusion has one, and only one, meaning in the cross-cultural contexts I will show in fig 1 in chapter 3. The origins of the flaw are rooted on a tradition of educational policy analysis in which the State is assumed to occupy the centre of policy gravity, with commands, instructions and orders flowing from the top for obedience and compliance at the bottom. Adults do have the freedom to make cultural choices in what they want to consume and how they want to carry out the consumption, be it education, learning or otherwise. They do exercise and defend that freedom in the choices they make. These choices sometimes lead to decisions which go against the grain of the goals of the State… Local Further Education College policy-makers and teachers acting on behalf of adult learners do interfere with, reorder, reinterpret and manipulate the State’s post-compulsory education policy to meet local needs because local people might have local priorities in which inclusion might have different meanings. Thus the claims that adult participation in post education means reproduction are fallacious because they are a disputation of adulthood. Adults might not at first see any internal weaknesses in equality of access to educational opportunities, provided that access led to the desired primary educational goals. However they begin to contest that access if it leads away from their primary educational goals. Often they leave the course when equality of access translates into educational opportunities which deviate from their primary educational goals. [Recombination might lead to] ‘not merely extremely dull children from the well-to-do professional classes, but also of extremely bright children born to parents who were themselves extremely dull and brought up in homes where low cultural and material conditions would have condemn each one to hopeless failure. As you know we are wholly funded by the Government, the Government, particularly our overseeing bodies, the LSC and OFSTED. We also derive some of our funding from the Local Authority for the employment training we provide, so the Local Authority is also a major influence. Some of our funds also come from the European Social Fund because we are in a deprived inner city area, so again we are also overseen by the LSC and the Local Authority for this fund. Adults do not often share the cultural values which define the meaning of inclusion in terms of any forms of ideology, labour market and free market mechanism or otherwise. Instead adults often define the meaning of inclusion in response to their current state of being. The current state of being might be perceived as gaps in their lives or in terms of deficiencies in their current state of knowledge of a given activity and the meaning of inclusion is then defined in terms of the learning needed to bridge the gaps. If I were to ask adults learners in the cross-cultural contexts of further education colleges what the meaning of inclusion was they would give many different meanings because the meaning of inclusion would be contested and influenced by the critical events in their lives. In other words inclusion probably has many different meanings in the cross-cultural contexts of further education colleges. The meanings are probably contested because they might have been influenced by important events in the lives of adult learners. To explore, describe and document the meanings of inclusion through the eyes and minds of adult learners and teachers in the cross-cultural contexts of further education colleges. To explore, describe and document the factors which influence the meanings which adult learners and teachers give to inclusion in the cross-cultural contexts of further education colleges. Did you know that there was a Government policy on inclusion in post-compulsory education? What were the most important things you thought of before your decision to include yourself in post-compulsory education? What effects has inclusion had on your professional practice? What effects has inclusion had on you as an individual? What does inclusion mean to you as an individual? Has inclusion worked in your College? If inclusion has worked, how has it worked? If it has not worked, what was it that has caused it not to work? Overall what effects has inclusion had on your College? At the time, in the mid-1990s, when I began to think of formulating a research plan that was focused on inclusion I was employed, and still am, as a lecturer in a further education College. I was also engaged on three projects. The first project was that I was on the final stretch of an MA in education. The second project was that I was in the process of compiling a portfolio of evidence for national accreditation and assessor award, D32 and D33. The third project was for my department: the Faculty of Access, Care, Business, Humanities and Languages. The crystallisation of the idea to formulate a research plan that was focused on inclusion was influenced by my briefs for the third project. The briefs were: first, to determine accreditation for and provide a basis that would enable the faculty to include current and future groups of speakers of other languages in mainstream business studies curricular programmes. Second, I was to research Awarding Bodies’ processes of departmental accreditation and prepare action programmes for the registration of the business studies section as an accredited assessment centre for vocational qualifications in Business and Administration. To begin with, the only guideline I was given was in respect of the first part of my brief. I was to seek accreditation at levels that would enable the majority of the current cohort of students and speakers of other languages to achieve full certification or credits towards certification. I interpreted this as a directive and that the directive meant that I was not to think about the cohort’s backgrounds. Indeed, I was not given prior information about the group other than that there were fifteen students in the cohort. At my initial meeting with the group, I administered a short questionnaire in which I introduced myself to the group and in turn invited the group to introduce themselves to me. From the group’s responses and subsequent discussion with them, it became abundantly clear that whatever I did I must, and should, think in terms of the group’s backgrounds. It also became clear that there was a fundamental conflict between the group’s testimonies with respect to what they defined as their primary educational goals and the testimony of the Course Co-ordinator; particularly in terms of the level she thought was the appropriate educational goals for the group. I had earlier interviewed the Co-ordinator with respect to the project. During the interview she had claimed that the group was experiencing language difficulties, that the group had had the equivalent of one year English language tuition. And that the group had nowhere else to go, by way of progression within the college, other than inclusion, first, into Business English curriculum and thence into the Business curriculum proper. The issues that were brought up by the conflict between the testimonies of the group and the testimony of the Co-ordinator were those that first began to shape my thoughts and research hypothesis. The issues struck at the heart of what I thought inclusion meant: choice, impartiality and quality educational advice. My thoughts were that if as the Co-ordinator had claimed the group could no longer be progressed within the College, should not the College point them elsewhere so that they could be helped to make progress? And for that matter, why should inclusion mean entry into the Business English curriculum? Thus initially my research was focused as follows: the impact of bilingualism on the modes of inclusion in further education. My initial aims were, first, to explore the relationship between bilingualism and inclusion, and, second, what ‘learning difficulties’ meant with respect to groups and individuals with characteristics similar to those of the groups that were involved in my project. The questions that were uppermost in my mind at the time were as follows: when and why was learning defined to be difficult? Who, with respect to bilingual adult learners, defines what constitutes ‘learning difficulties’? How does the definition correctly explain the difficulties experienced by individuals with these characteristics? How does inclusion address these difficulties? Who defines what constitutes the appropriate forms of inclusion? What does that definition mean to and for groups and individuals? How would people with these characteristics define their own inclusion? Although the focus of my research has changed over time, these questions are still relevant, instead they simply point to research on whether bilingualism might have similar effects on the quality of the lives of bilingual adult students in the same way as physical disability might have effects on the quality of the lives of disabled people. Nevertheless my interactions with the group deepened through discussions and subsequently I again administered questionnaires in which I asked the group what advice they had received and what their educational objectives were when they enrolled at the College. And whether or not they thought they were achieving their educational objectives and if not, why not? What they thought was wrong with what I was doing and what they thought I ought to be doing? ‘After being on the course [English for Business] I had the feeling that the college just want to put students on the course’. The experience of this speaker was wide spread in colleges. The experience pointed to the immorality of some colleges in the ways they have responded to a Government policy which continues to insist that nothing could be achieved in post-compulsory education except via open market operations. It is the argument of the thesis that the Government through its surrogate, the LSC, was using its funding mechanisms based on Guided Learning Hours (GLH) to create inequality which was gradually eroding the social cohesion envisaged by Butler (1973:3). Thus some colleges recruit and allocate adult learners, particularly adult learners whose formal education occurred overseas prior to migration to the UK, to curricular programmes irrespective of their educational biographies simply to meet the LSC’s recruitment targets and hence close the gaps in their finances. However there were some exceptions to the immorality of adjusting learners to curricular programmes in order to meet the marketing and financial regimes of the LSC. According to the Vice- Principal of Oakhill College the College had a well established and documented progression regime which the Vice-Principal (Curriculum) described as ‘hurdles’ and which he claimed were designed to ensure that learners were allocated to programmes where they were likely to achieve. The argument of the thesis is that the ‘hurdles’ are barriers to the inclusion of some adult learners. The feedback from discussing with the group together with the results of the questionnaires changed the focus of the research. Thus instead of focusing on bilingualism and inclusion in further education the focus of the research became ‘inclusion in post-compulsory education’. The aim was to explore the meanings of inclusion from the perspectives of speakers of other languages. However as I progressed the research and began the expansion of collaborators it became clear that the exploration of the meanings of inclusion exclusively from the perspectives of speakers of other languages was no longer tenable, given the population mix of adult learners I met in the colleges in which I was doing my fieldwork. Accordingly I had to change the research focus to the meanings of inclusion in cross-cultural contexts: exploring the experiences of Adult Learners and Teachers in two Further Education Colleges in the London Area. The change meant that all adult learners, irrespective of ethnicity, became potential research collaborators. The Government policy does not actually address the problems faced by minority groups because the Government does not know who the minority groups are; what these problems are and it has not actually tried to find out what these problems are and how they might be solved. There are a number of minority groups that need more assistance which the Government does not provide. I think to know these problems the Government needs to ask minority groups. This learner was saying that policy-makers were ignorant of the meanings of inclusion to the minorities in their midst. He was saying that minorities were not a single population mass; that there were many minorities and that the meanings of inclusion were proportional to the many minorities. Thus it might be that if we knew what inclusion meant to this speaker and what factors might have influenced that meaning then we might know ‘the problems faced by minority groups’. It is not just what happens when the College provides access to facilities or what happens when I get to College that I am saying. Something like after I get into the College and get to the classroom: when I get to the classroom what happens in the classroom is the most important meaning of inclusion. Thus if we knew what inclusion meant to this speaker we could enhance his learning experience when he got ‘to the classroom’. Overall it is hoped that the research will make a modest contribution to the understanding of the meanings of inclusion. In section 1.1.1 I defined the focus of the research and I inadvertently set the boundaries of the research. This meant that the research was limited to further education colleges. Therefore the scope for the generalisation of the findings of the research to other subsystems of the national education system shown in fig 1 might be limited. 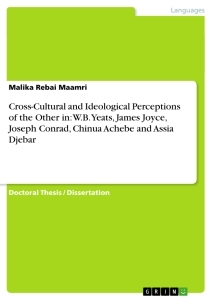 The second main limitation was that a single research project such as this one could not possibly explore and document all the possible meanings of inclusion together with the factors that might have influenced those meanings because there were limitations imposed by scope, namely: the size of the research sample; the number of further education colleges involved in the research, time constraints, and more importantly the constraints imposed by human and physical resources. Thus the research was no more than a drop in the ocean of ideas and meanings of inclusion. And no single research, least of all this one, could possibly hope to map the entire ocean. As a researcher I have accepted that I have ethical and social responsibility to the human collaborators in this research. Lather (1986) made a serious case for ‘emancipatory knowledge’ (Lather 1986: 259). I took it that when Lather said ‘emancipatory knowledge’ she meant knowledge that was emancipatory to both the researcher and the researched. Accordingly I have tried throughout my engagement with learners to ensure that I have provided them with accurate information covering the nature and aims of my research in order to help them to make informed consent. Additionally since part of my research data has been collected from my classroom practice involving adult learners and from my colleagues, I have had to obtain permission from the management of the colleges involved. Overall participation in the research has been voluntary. In this section I will briefly describe the arrangement of the thesis. Chapter 2 presents an overview of the literature. Four theoretical perspectives on the meanings of inclusion are reviewed in the chapter. Chapter 3 is the methodology chapter. In the chapter I will describe the methodological approaches I have used in the research. The approaches I have described included systems approach, ethnoarchaeology and cultural ecology, and Neibhur’s ‘textual and critical hermeneutics’ of the Gottingen School. The chapter will also describe the population characteristics of participants. The next four chapters will present the findings of the research’s documentary analysis and fieldwork. Thus, in chapter 4 I will describe the meanings of inclusion from the perspectives of the State. Chapter 5 will present the ethnographic descriptions of the meanings of inclusion from the perspectives of adult learners. In chapter 6 of the thesis I will report the quantitative analysis of the meanings of inclusion from the perspectives of adult learners. In chapters 7 and 8 of the thesis I will describe the meanings of inclusion from the perspectives of teachers and local policy-makers. In chapter 9 I will draw together the meanings of inclusion along with the implications of the research and suggestions for further research. This chapter has set out the research hypothesis and problems together with a critical summary of research literatures. The chapter has described the origins and evolution of the research; the aims and the rationale of the research, and the boundaries and the limitations of the research. The chapter has addressed the ethical issues involved in the conduct of a research project such as this and in the closing section the chapter described in outline the contents of the thesis. This chapter will describe four theoretical perspectives on the meanings of inclusion in the literatures. First, there are those whose theoretical focus is on explaining the meanings of inclusion in post-compulsory education as a part of the process of the State’s political control. The ultimate aims of the State, it has been claimed, are to reproduce certain characteristics in the masses. This is a Neo - Marxist theoretical analysis. Second, there are those whose focus is on equality of opportunities, participation and non-participation. This is a Humanist theoretical analysis. Third, there are those whose focus is on the relationship between genetics and intelligence. This is a eugenic theory. And fourth, there are those whose focus is on explaining the meanings of inclusion in post-compulsory education as a part of national economic policy, the labour market, skills, lifelong learning and the risk society. This is a neoconservative free market theory. I am going to discuss the historical origins of each of these theoretical positions. However the discussions will not be detailed criticisms; instead the discussions are an overview of the four theoretical perspectives. The reason for taking an overview approach was because a thesis that aims to explore and document the entire range of the meanings of inclusion together with the factors that might have influenced these meanings could not possibly engage in a detailed analysis of all the theoretical perspectives available on the meanings of inclusion because of the limitations imposed by time, space, human and physical resources. Much of the literatures on ‘reproduction’ were Neo - Marxist analysis. Their focus was on the relationships between the State and individuals and groups. In their analysis they have focused on examining the ways in which the relationships between the State and the masses have been transacted. Their rendition of the transaction was that the relationships between the State and the masses were a kind of struggle between an all powerful State and the powerless masses. The role of post-compulsory education in the society was the main issue of the struggle. The ultimate aim of the State, it has been claimed, was to use its control of post-compulsory education as a covert tool to discipline and reproduce specific characteristics in the population. The characteristics that have been claimed to be reproduced were many and various. And they have ranged from the socialisation of learners into ‘division of labour’ (Althusser 1971), ‘socialisation’ into ‘class structures’ (Bowles 1971) and ‘reproduction of political order’ (Centre for Contemporary Cultural Studies 1981). One of the foremost descriptions of the reproduction of social division of labour was to be found in the work of Althusser. In his rendition of the Marxist theory of the reproduction of the conditions of production, Althusser claimed that ‘capitalism requires the services of highly structured, competent, complex labour [which were] diversified according to requirements of the socio-technical division of labour [in] its different “jobs” and “posts” (Althusser 1971: 5). According to Althusser capitalist education system existed to help to ‘reproduce the technical “skills”, inculcate [the] “know-how” and teach ‘the “rules” of good behaviour ... that should be observed by every agent in the division of labour’ (ibid: 6). Bowles (1971) pursued similar theoretical arguments. According to Bowles ‘schools in the US did not work for equality; instead they were regimental grounds for reproducing the skilled and disciplined workforce needed by capitalist employers’ (Bowles 1971: 27). Additionally Bowles argued that schools were a preparatory ground for the ‘factory’ because the ‘social relations that they inculcated and reinforced, particularly the demand for discipline, acceptance of authority, individual accountability for one’s work and the curriculum were all designed to reinforce the bourgeois ideology and help to adapt children to social division of labour’(ibid: 30). Another perspective within the reproduction theory was that inclusion in post-compulsory education reproduced class and political structures. According to this perspective the State’s involvement in the formulation of post-compulsory education policy was a part of the processes of ensuring that class and political structures were perpetuated from one generation to another. Bowles again provided an account of how the progressive educational reforms in the United States have been used to destroy the ‘older democratic belief of common school and common curricular programmes and replaced by class division and inequality’. For Bowles the ‘progressive arguments that education should be tailored to the needs of the child led to the development of vocational education and blue-collar employment for working class families and academic education for the children of social elite and white collar employment’ (Op cit: 31). The picture of the of the future had to be painted sufficiently bright to convince people that it could be realised…Unless we can persuade the man on the street, and keep him convinced, that we are making a juster and fairer world, for him as well as for his children, we might as well spare our efforts to increase the efficiency of the economic mechanism…The winning of political consent from ‘the plain man’ would involve active persuasion that a better life could be realised without recourse to anti-democratic forms of politics …The principle of government by consent and free discussion must be made more fully operative through the extension of education… (ibid: 51-52). Translated into the research the inclusion of individuals and group in post-compulsory education means, firstly, that the experience of learning through exposure to curricular activities in colleges neither had intrinsic values nor served useful purposes to the learner. Instead education, learning and exposure to curricular activities were a preparation for labour in a capitalist economy. And, secondly, through the teaching of professional ethos and etiquettes colleges covertly aid the State to create subservient subjects for industrial role-play. Thus the entire Neo - Marxist arguments imputed ulterior motives to the State, firstly, by seeing inclusive policy as a part of an insidious process designed to continuously reproduce and deceive the masses into accepting their position through an offering of a harmful education which has been portrayed as benevolent. Secondly, the Neo - Marxist thesis saw the reproductive mission of inclusive policies and hence the meanings of inclusion as concealed within notions of fairness and equality which might have been challenged by the masses had the true mission been made apparent. These arguments can be legitimately studied as part of the meanings of inclusion in the cross-cultural contexts of further education colleges because they were arguments against individual choice and individual decision making as to whether to include or exclude oneself. There were those to whom inclusion was part of Humanist discourses. The focus of these discourses was to define the meanings of inclusion in post-compulsory education as an integral part of the processes designed to empower and liberate marginalised groups. The objective was to equip marginalised groups with the analytical capabilities which they would need in order to comprehend, interrogate and participate in the economic, cultural and political life of the society. Thus for Butler, who was the minister largely responsible for the 1944 Education Act, inclusion was part of a system of change for marginal groups as well as being the solution to ‘the social and economic division within British society’. Butler argued that the ‘social and economic division’ in Britain was caused ‘by the economic and social condition of the submerged tenth [of the population]’. According to Butler ‘the wartime evacuation of children from the cities showed the continuing existence of the submerged tenth [of the population] and the fact that Britain was still a divided nation’. These, he argued, ‘was the reasons for the reassessment of the roles of society and for the planning of a reconstructed social system in which [inclusion] in education would play a central role’ (Butler 1973: 3). A second strand of the equality of opportunities discourse involved the issues of the social, economic and cultural backgrounds of the participants in post-compulsory education. The main discourses of the strand were focused, first, on whether the fact that the State had made adult learning available meant equality of access. This was one of the main arguments of the Russell Report (1973). The Report argued that the fact that adult education services had been made available did not mean that the services were equally accessible. Instead the Report claimed that there was serious inequality of access and that the roots of the inequality of access were in the structures and philosophies that underpinned the provision of post-compulsory education. The Report claimed that these structures and philosophies marginalised individuals and groups, particularly the ‘working class, speakers of other languages, black people, the unemployed, disabled people and people with literacy problems’ (DES 1973: 92 – 93). O’Shea and Corrigan (1979) pursued similar themes in their analysis of Adult Education. Their analysis suggests that adults, particularly working class adults, were culturally and socially disengaged from post-compulsory education because the structure and the institutional arrangements of post-compulsory education were alienating. They concluded that working class disengagement was not because of lack of ‘motivation’; instead that disengagement was the consequences of the cultural conflicts flowing from the institutional contexts of post-compulsory education (O’Shea and Corrigan 1979: 230 - 234). The third strand of the equality of opportunities discourse was focused on providing theoretical explanations for inclusion by studying the characteristics of the participants and non-participants in post-compulsory education. In her review of the literature McGivney (1990) pointed out that ‘the main characteristics of the non- participants were age, previous educational experience and social and economic status’. She claimed that ‘older adults, less well-educated people, people in lower socio-economic and occupational strata, women with dependent children, ethnic minority groups and people living in rural areas tended not to participate in post-compulsory education beyond the statutory leaving age’ (McGivney 1990: 14 -15). In its analysis of adult education the OECD (1977) claimed that non-participants shared a common characteristic, namely ‘social and economic deprivation’. Among the non-participants identified by the OECD were unemployed youths and premature school leavers, immigrants, the aged, the unemployed and underemployed workers with little education, urban poor, unskilled and semi-skilled workers, and people with linguistic problems (OECD 1977 cited in McGivney 1990: 16). The question then was what was it that was responsible for non-participation? Cross (1981) has provided some of the answers to the question. She has identified three broad reasons for non-participation. The first sets of reasons she identified were factors which she claimed were associated with ‘institutional’ arrangements such as ‘access to education, curricular programmes, admission procedures and fees’. The second sets of factors were ‘situational factors’, which she claimed were factors associated with the circumstances in the lives of non-participants, such as ‘lack of time and child care’. The third set of factors identified by Cross were psychological factors associated with the ‘disposition’ of non-participants, for example ‘attitude to study’ and low ‘self-esteem’ (Cross 1981 cited in Rubenson 1992: 45). In an analysis of the Swedish Adult Education Policy Reforms between 1960 and 1991 Rubenson (1992) reported on the characteristics of the participants in adult education. Rubenson claimed that although the ‘reforms were planned and were meant to operate on the basis of equality of access without reference to social, economic and place of residence the intended recruitment outcomes were not met’. Rubenson argued that the reason why the recruitment outcomes failed to meet expectations was that the increase in the volume of places made available by the reforms actually went to satisfy ‘the demand from individuals who were socially and psychologically inclined to study instead of individuals and groups who had received less education in the past’. ‘These individual’, according to Rubenson, ‘already possessed high level of aspiration; were already highly educated and were already well prepared to study’ (ibid: 45). These findings led Rubenson to claim that participation, [and non-participation] could be explained on the basis of ‘recruitment paradigm’. ‘Recruitment paradigm’, according to Rubenson, fused together three related and composite variables in order of priority in the lives of participants. The first variables were ‘personal variables’, such as the ‘personal attributes’ of the participants [and non-participants], and ‘environmental factors’, such as ‘reference groups’. The second variable was ‘active preparedness’, for example ‘perception and interpretation of the environment’. The third composite variables were ‘valence’, and ‘expectancy’. According to Rubenson ‘valence’ referred to the value individual participants placed on education, while ‘expectancy’ referred to the ‘probability of being able to participate in and benefit from it’ (Rubenson 1977, cited in McGivney 1990: 27). Thus the literature on equality of opportunities and on participation together with Rubenson’s participation theory support the research because the issues of equality of opportunities, disengagement, participation and non-participation together with the reasons for disengagement, for participation, and for non-participation should be of legitimate concern to a study whose focus is on the meanings of inclusion. More importantly they support the main contention of this thesis that there might be many different meanings of inclusion because inclusion is contested and influenced by critical events in the lives of adult learners. 2.2.1 The basis for inclusion: who was included and in what forms of education? While there does seem to have been willingness on the part of these immigrants to stay in education, and there have been a few who have obtained ‘A’ levels and even degrees, overall one must say that the educational system and the system of training in work has not provided more than a small minority with any sort of proper qualifications. The DES (1974) drew similar conclusion in its Report to the Select Committee on Race Relation. In the Report the Government argued that inclusion was to ‘English and Arithmetic’ [curricular] and was designed to ensure that Afro-Caribbean and Asian immigrants attained sufficient command of literacy and numeracy to enable them to access vocational training or to enable to cope in their employments’ (DES 1974: 935). In other words inclusion meant functional curricular which are used in tasks and job performance in the workplace. This process of organisation takes a different form in the two minority communities: in the Asian community it takes the form of defensive organisation in which individuals may aim at capital accumulation and social mobility; in the West Indian community it may take the form of withdrawal altogether with emphasis upon the formation of a black identity…(Op cit: 267). The thesis has the potential to make an important contribution to the research literature in the field of post compulsory education. 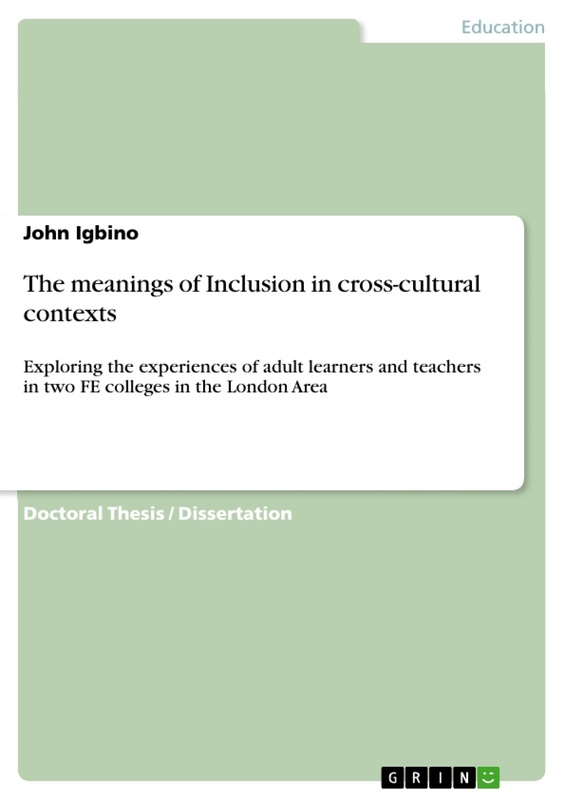 The discussion of the concept of inclusion provides the thesis with its originality: although there have been studies of inclusion in FE I have not seen it tacked in this way. It is an ambitious and innovative thesis written in a strong voice. The findings shed valuable light on the ways in which adult learners perceive their experiences of studying on a range of programmes within colleges that reflect the diversity of the communities in which they sit. ‘This thesis has the potential to make an important contribution to the research literature in the field of post-compulsory education and, more specifically, to studies of the experience of adults in further education colleges from the perspectives of inclusion. The thesis poses tough questions for teachers and managers in colleges, and for policymakers, in relation to the values that underpin the design and organisation of the curriculum, the pedagogical process, and relationships within colleges’. Professor Lorna Unwin Chair in Vocational Education and Deputy Director of the ESRC-funded Research Centre, LLAKES (www.llakes.org.uk) Institute of Education, University of London.